Good and sweet news Lenovo users! 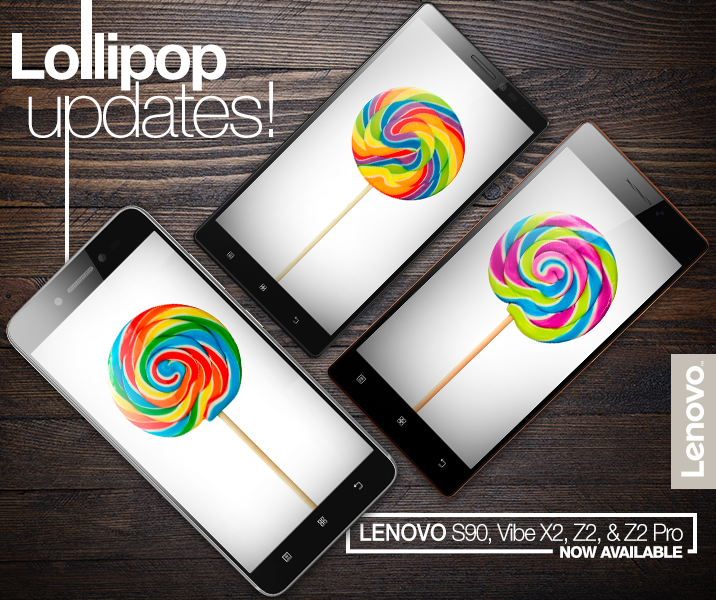 The Philippine branch of Lenovo has just released the most awaited Android Lollipop update for the S90, Vibe X2, Z2 and Z2 Pro. So if you are an owner of any of these smartphones, you may now check your device's settings to do the update. Also if you know someone who owns these smartphone, you may to let them know about it in case they don't know yet. Now if your device is not included in the list and you know that it is one of the confirmed devices to receive the OTA update, this means that Lenovo PH is still working on it and will let us know once the update is ready.